Astronomers using NASA's Hubble Space Telescope may have found evidence for a cluster of young, blue stars encircling one of the first intermediate-mass black holes ever discovered. Astronomers believe the black hole may once have been at the core of a now-disintegrated unseen dwarf galaxy. The discovery of the black hole and the possible star cluster has important implications for understanding the evolution of supermassive black holes and galaxies. Astronomers know how massive stars collapse to form black holes but it is not clear how supermassive black holes, which weigh billions of times the mass of our Sun, form in the cores of galaxies. One idea is that supermassive black holes may build up through the merger of smaller black holes. Sean Farrell of the Sydney Institute for Astronomy in Australia discovered a middleweight black hole in 2009 using the European Space Agency's XMM-Newton X-ray space telescope. Known as HLX-1 (Hyper-Luminous X-ray source 1), the black hole has an estimated weight of about 20,000 solar masses. 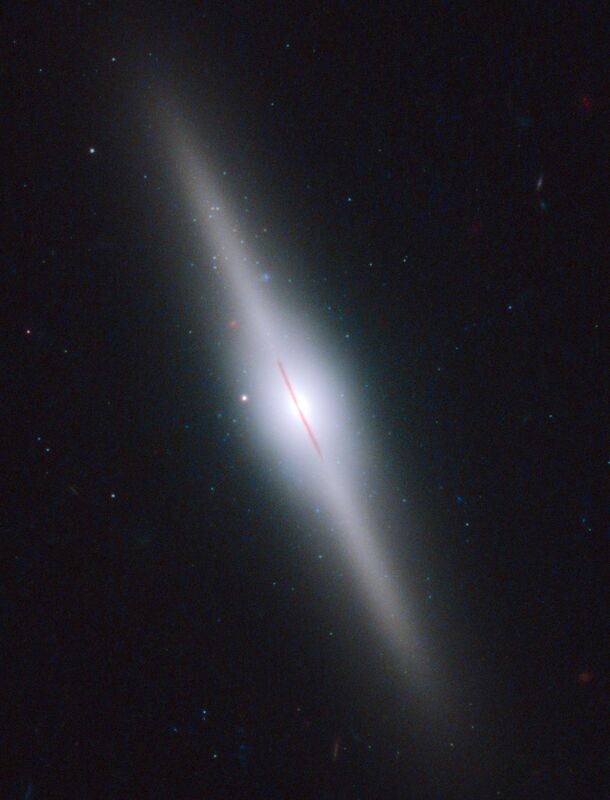 It lies towards the edge of the galaxy ESO 243-49, 290 million light-years from Earth. Farrell then observed HLX-1 simultaneously with NASA's Swift observatory in X-ray and Hubble in near-infrared, optical, and ultraviolet wavelengths. The intensity and the color of the light may indicate the presence of a young, massive cluster of blue stars, 250 light-years across, encircling the black hole. Hubble can't resolve the stars individually because the suspected cluster is too far away. The brightness and color is consistent with other clusters of stars seen in other galaxies, but some of the light may be coming from the gaseous disk around the black hole. "Before this latest discovery we suspected that intermediate-mass black holes could exist, but now we understand where they may have come from," Farrell said. "The fact that there seems to be a very young cluster of stars indicates that the intermediate-mass black hole may have originated as the central black hole in a very-low-mass dwarf galaxy. The dwarf galaxy might then have been swallowed by the more massive galaxy, just as happens in our Milky Way." From the signature of the X-rays, Farrell's team knew there would be some blue light emitted from the high temperature of the hot gas in the disk swirling around the black hole. They couldn't account for the red light coming from the disk. It would have to be produced by a much cooler gas, and they concluded this would most likely come from stars. The next step was to build a model that added the glow from a population of stars. These models favor the presence of a young massive cluster of stars encircling the black hole, but this interpretation is not unique, so more observations are needed. In particular, the studies led by Roberto Soria of the Australian International Centre for Radio Astronomy Research, using data from Hubble and the ground-based Very Large Telescope, show variations in the brightness of the light that a star cluster couldn't cause. 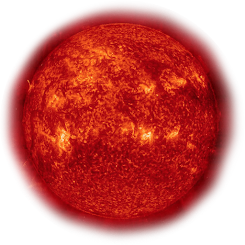 This indicates that irradiation of the disk itself might be the dominant source of visible light, rather than a massive star cluster.